OH look at these I have to show you from Smitten Polish today. I love them both too much! Here's her info and then I'll get right to the pics :) Follow her on Facebook. Noelie has a beautiful blog too, where you can see her own swatches and keep up with what's new. Purchase at her Etsy shop. You can also purchase from Llarowe.com. This is 2 coats with HK Girl top coat. Application was a wee bit difficult, but not at all unusable. I mean look....how...pretty!!! It's just a jelly finish with this much pigment and glitter is hard to accomplish I think. It was a tiny bit thick and therefore it doesn't like to be spread around. It didn't come out gloppy or thick on the nail and is so pretty with so much depth on the nail. This is just a dreamy girly white based glitter polish. That is all. Noelie has really mastered the white based glitter polish. She could do one in every color combination and I would need them all. This is 2 easy coats with HK Girl top coat. Another two winners for me from Smitten. Do you agree? Which is your favorite? These both look great!! I actually named Candy Kisses, she asked for name ideas for it and I thought it suited the color :). Might have to check out that purple! 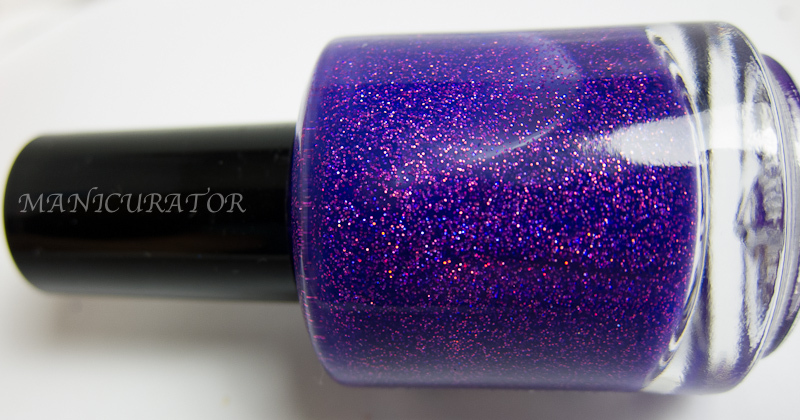 Both are stunning but I think Hocus Pocus is the winner in this one, SO pretty! These are both beautiful, but I think Hocus Pocus is my favorite! I love both of these! 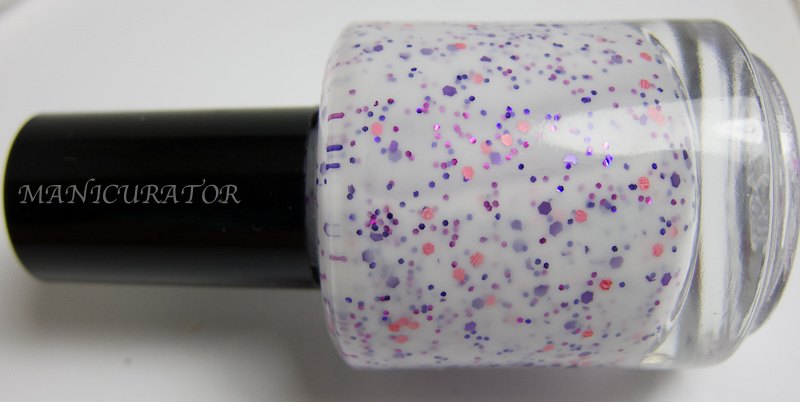 I really want to get my hands on a white glitter like "Candy Kisses." Awesome! ok, normally I would be going crazy for candy kisses. White polishes with glitter is my weak spot!! Hello Jawbreaker, party on my yacht and birthday cake, to name a few. And hey, this one is just what I love BUT WOW!!!!! Hocus Pocus is TO DIE FOR!! I have not seen such a gorgeous swatch in a long time! Not since I saw floam have I wanted a polish so badly, just from seeing one blog post about it! Maybe it is just your talent in picture taking (I doubt it0 but that is....im speechless..... I MUST GET THIS!!!!!! so pretty!! All I can say is Gorgeous!!!!!! Love your pics & these polishes are pretty! Both polishes are lovely, I bet you can't stop looking at your nails! I need hocus pocus in my nail collection!